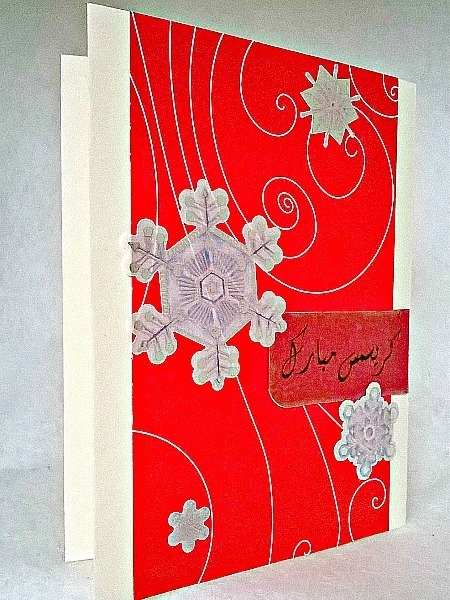 This design features four metallic snowflakes sweeping across beautiful swirl red and white background paper. 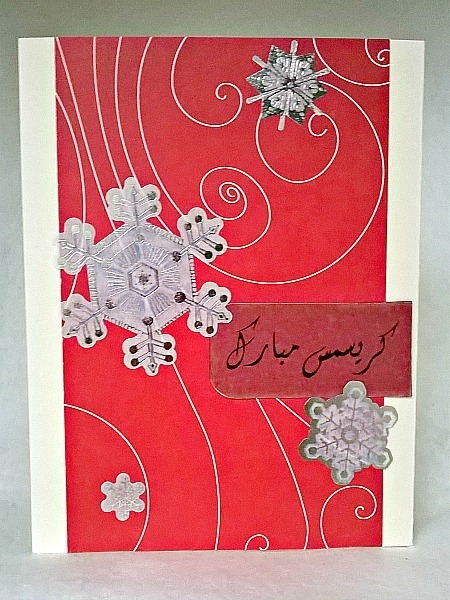 The words Kerismas Mobārak, which mean Merry Christmas in Farsi, have been printed on vellum and added to red cardstock. 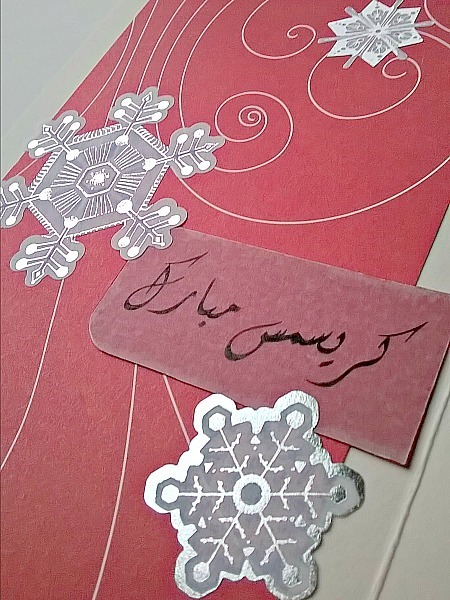 The card was left blank inside for your personal greeting. 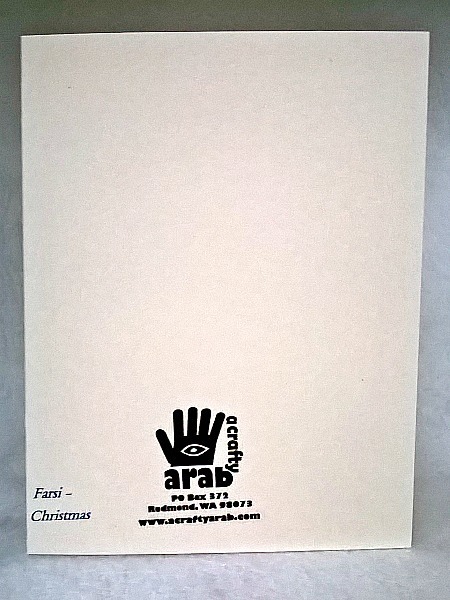 The card will be mailed to you in a protected plastic sleeve, with a beige envelope. The card was made it in my smoke/pet free studio. Shipping includes handling charges and PayPal fees. Standard USPS shipping is used unless a rush order is required. Please feel free to convo me if you'd like any custom work. Merci for checking out my shop!